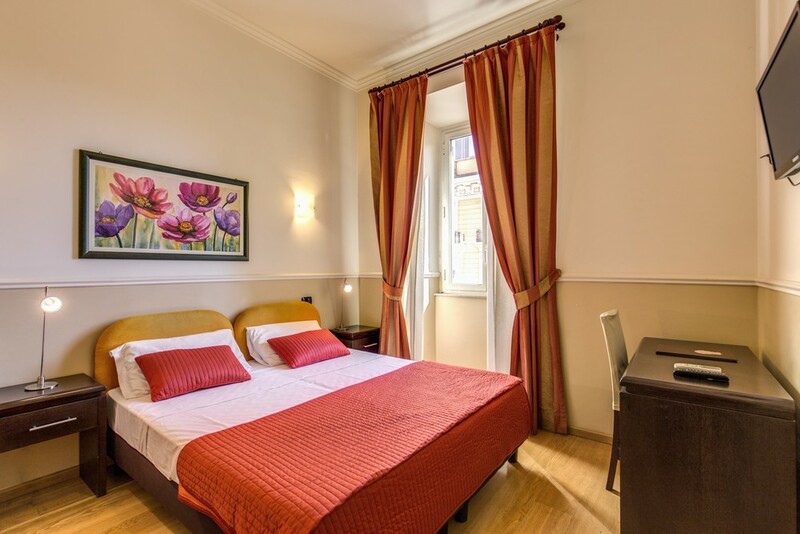 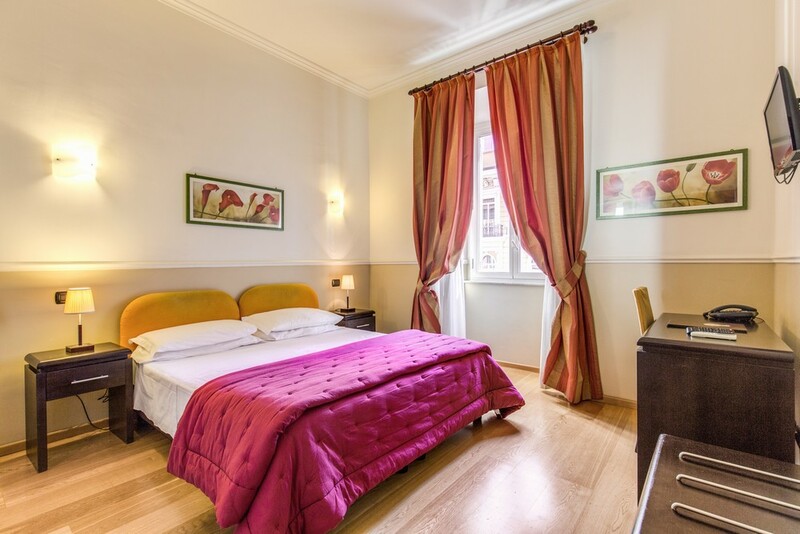 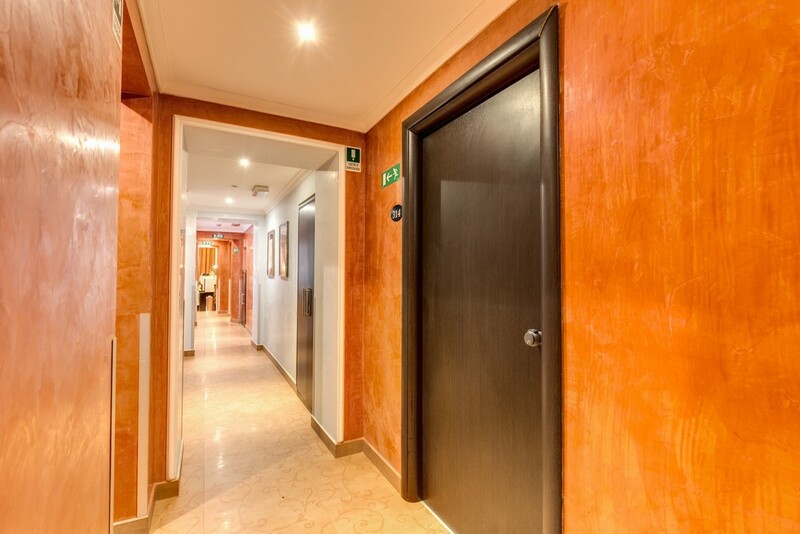 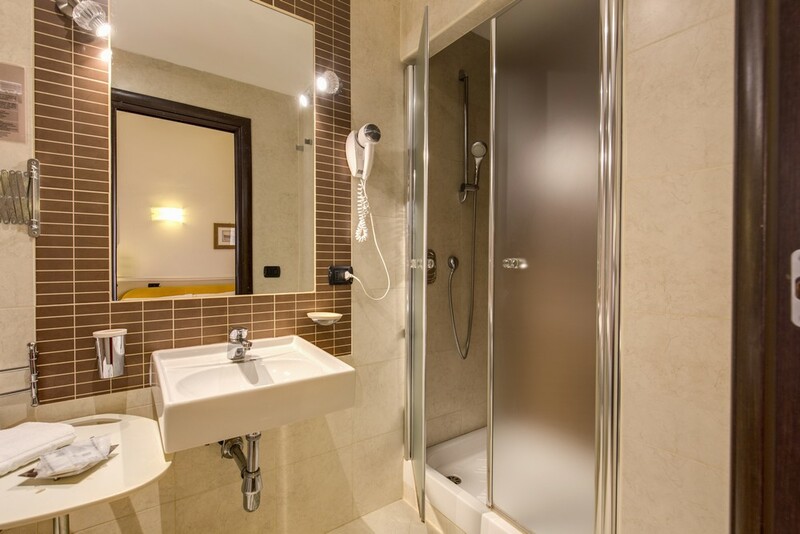 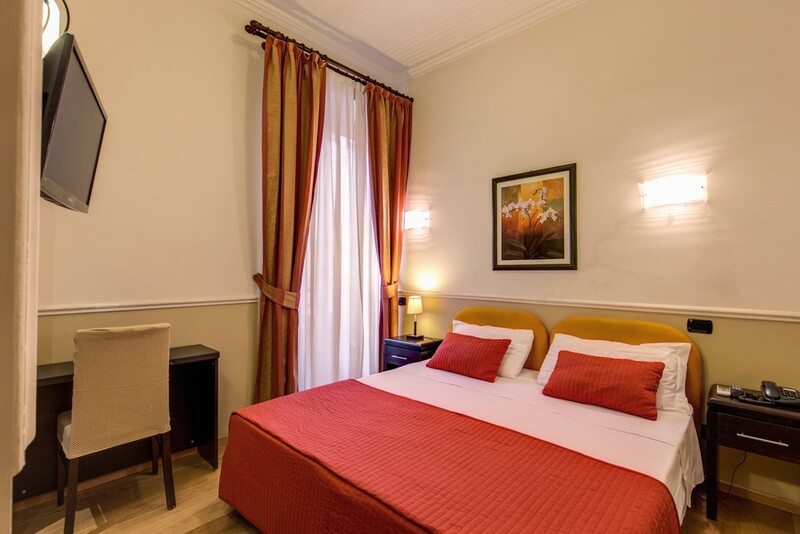 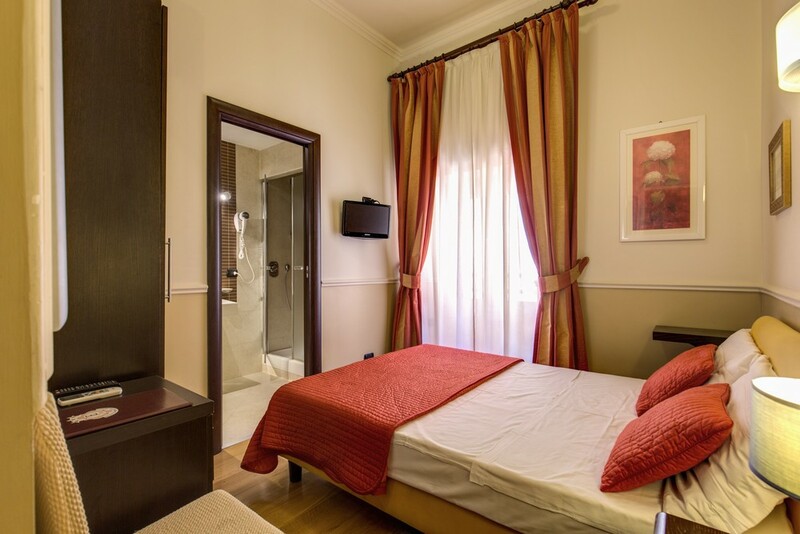 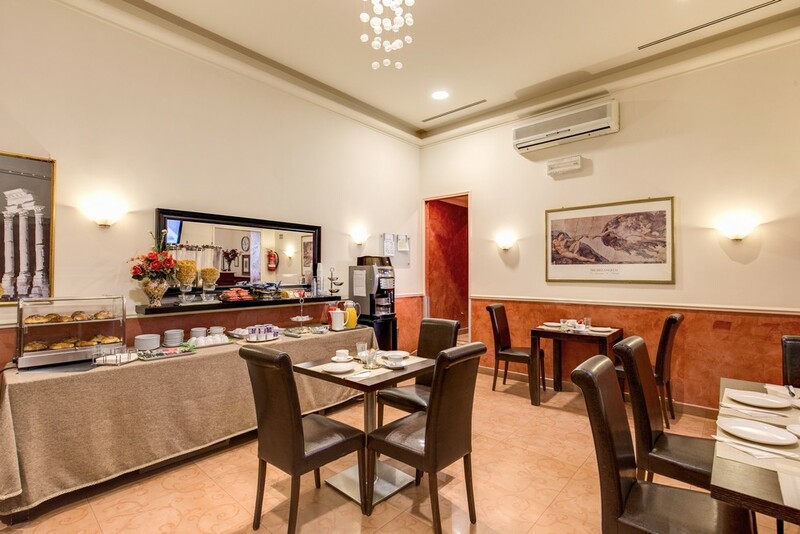 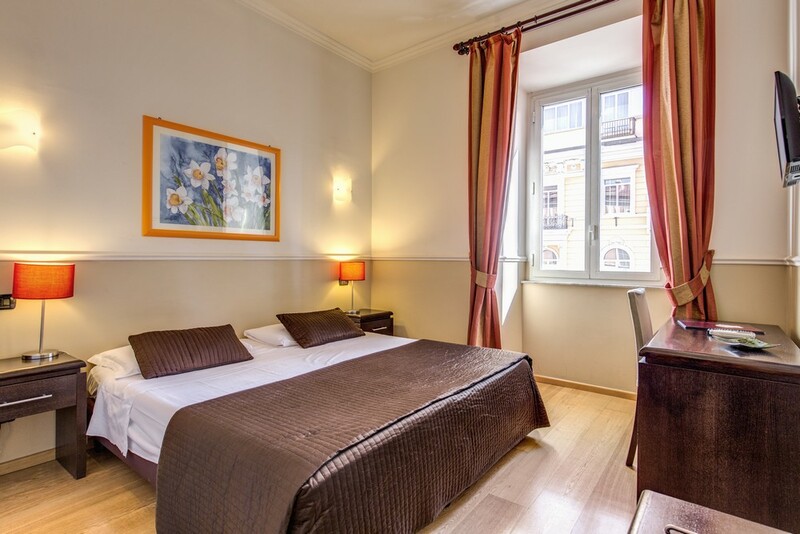 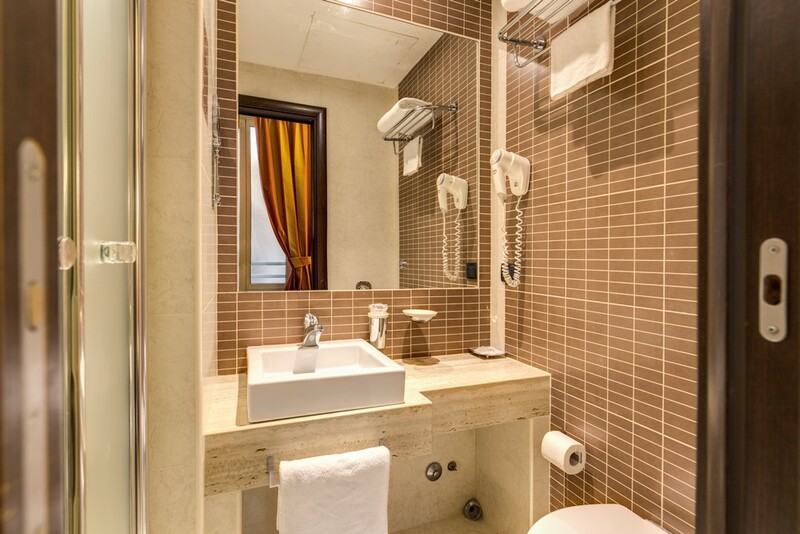 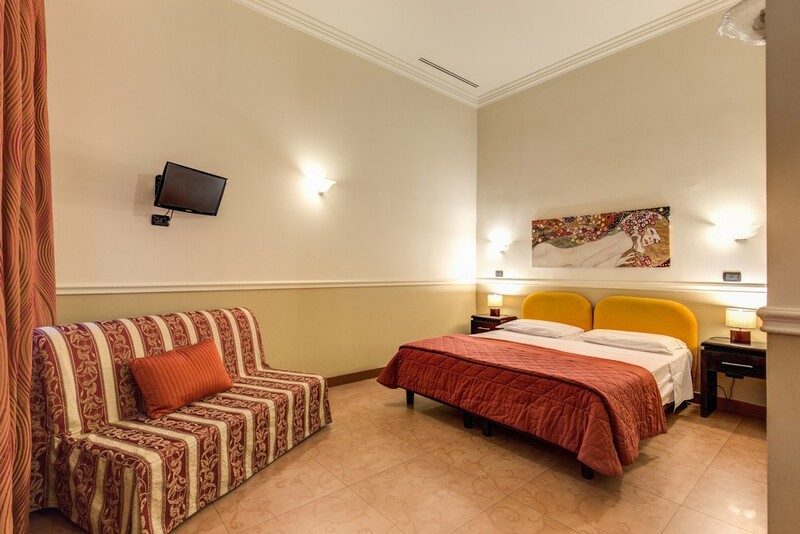 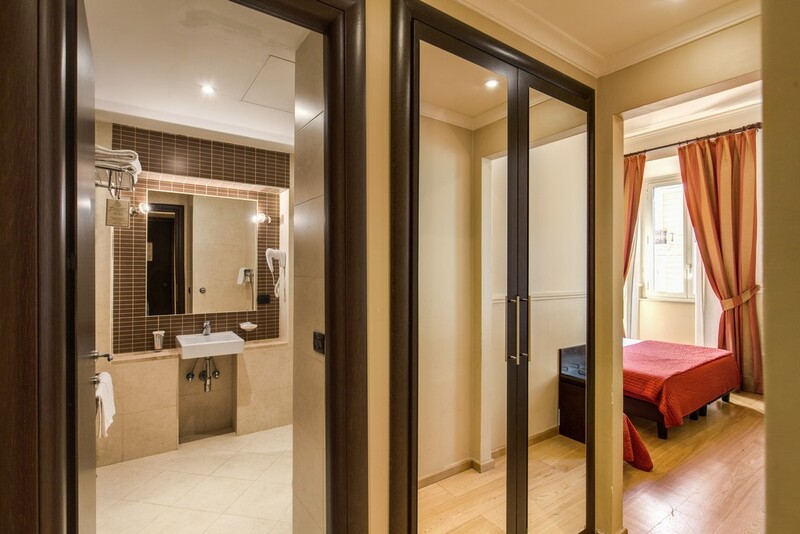 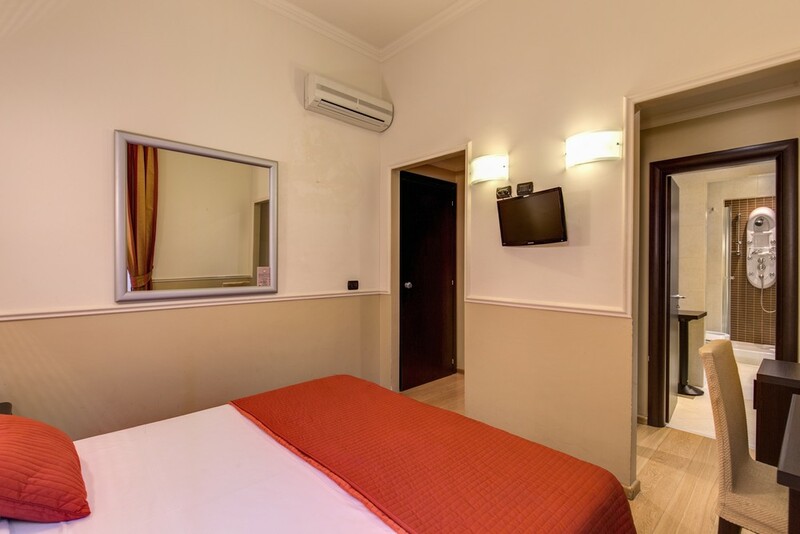 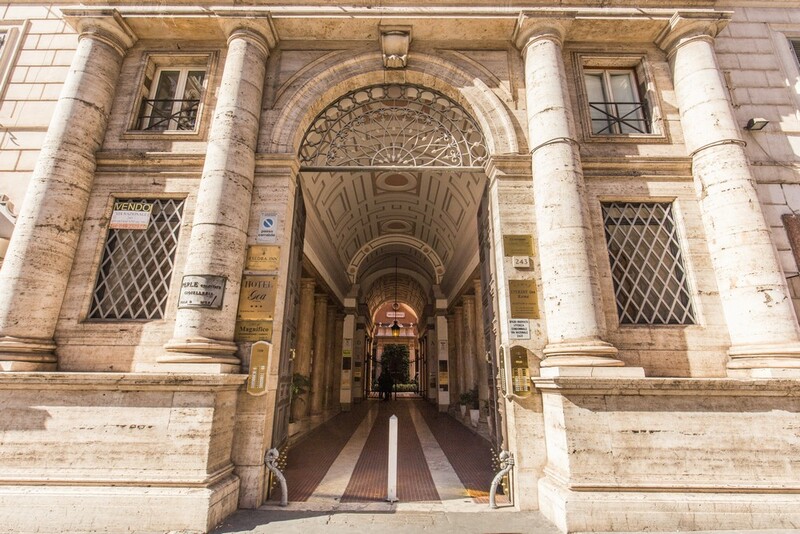 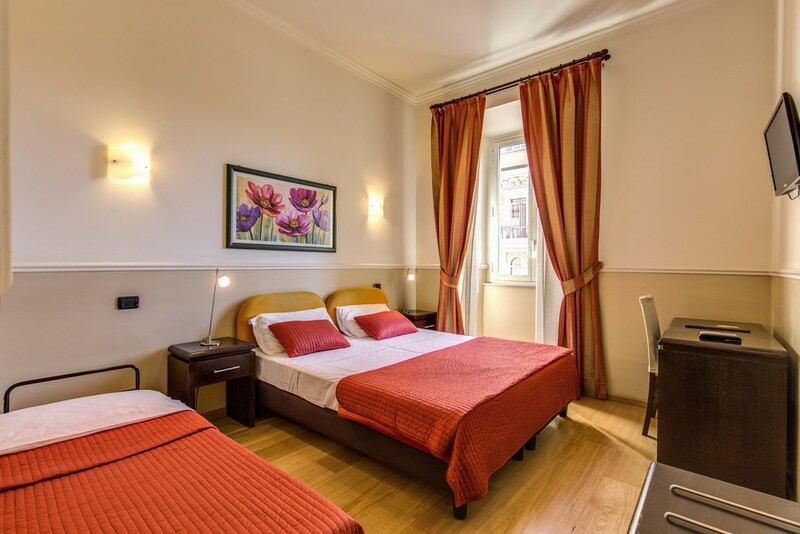 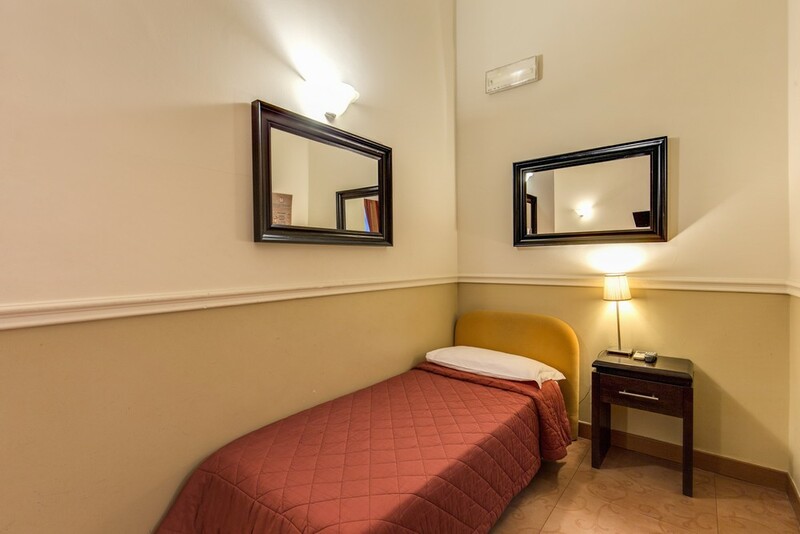 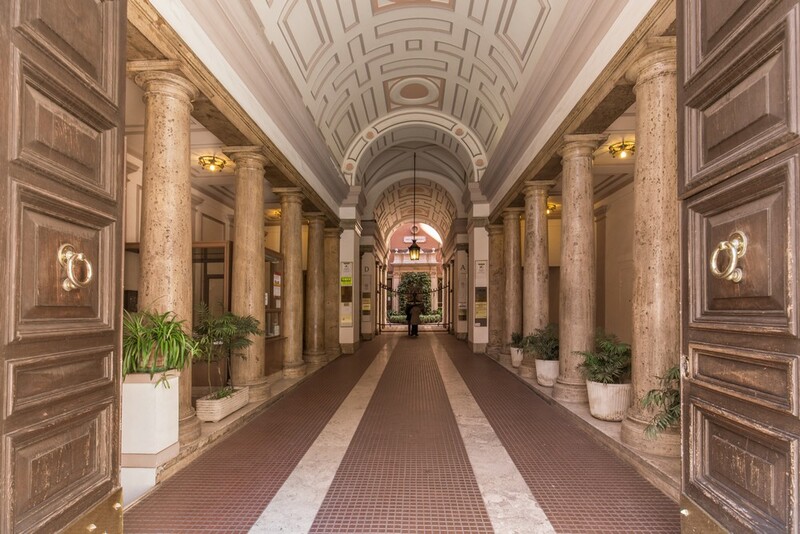 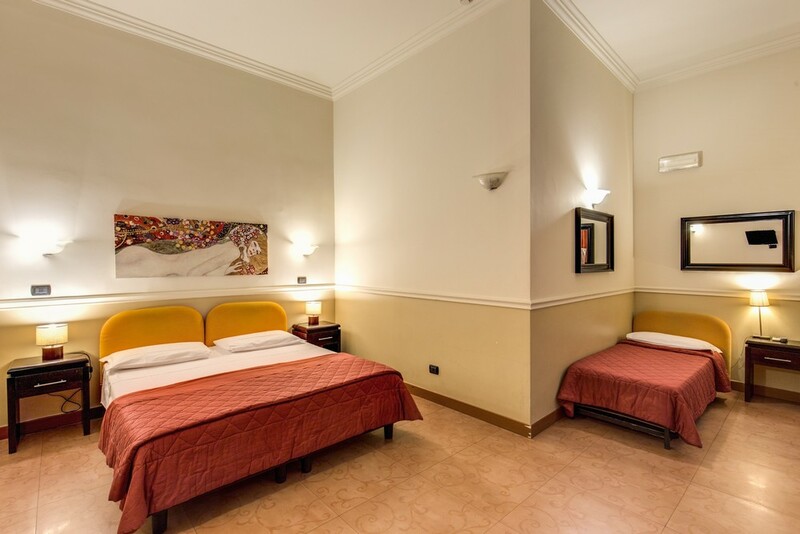 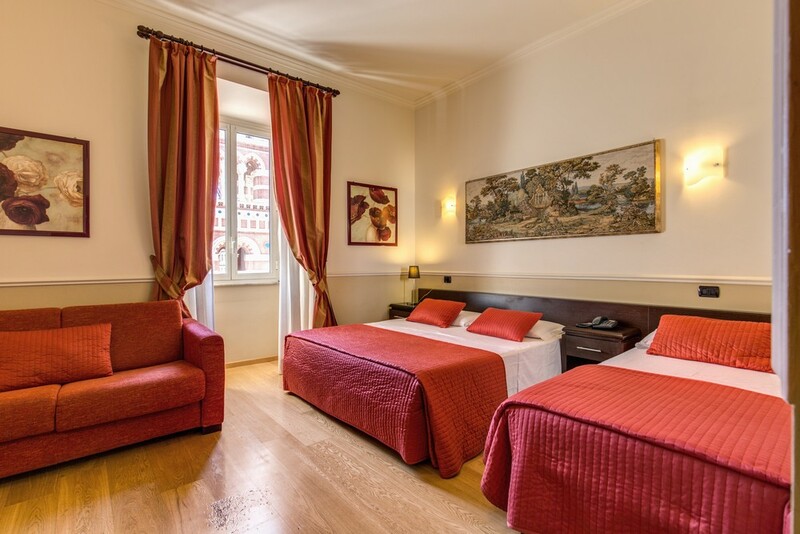 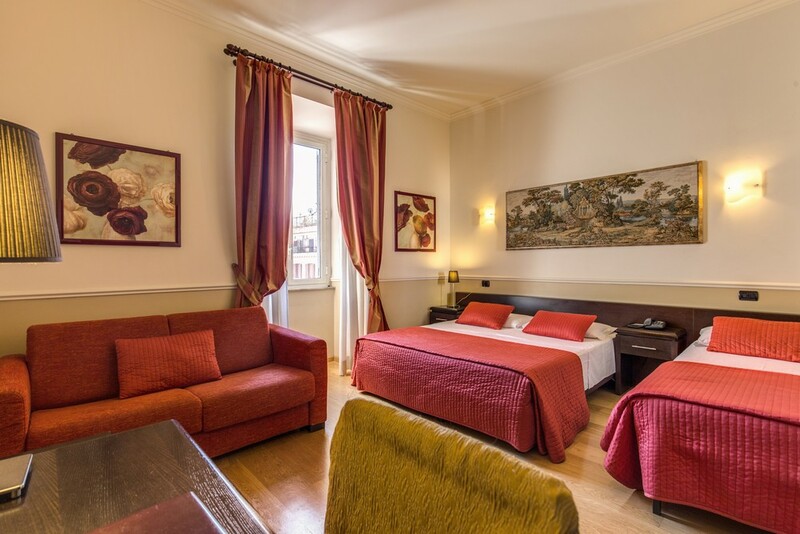 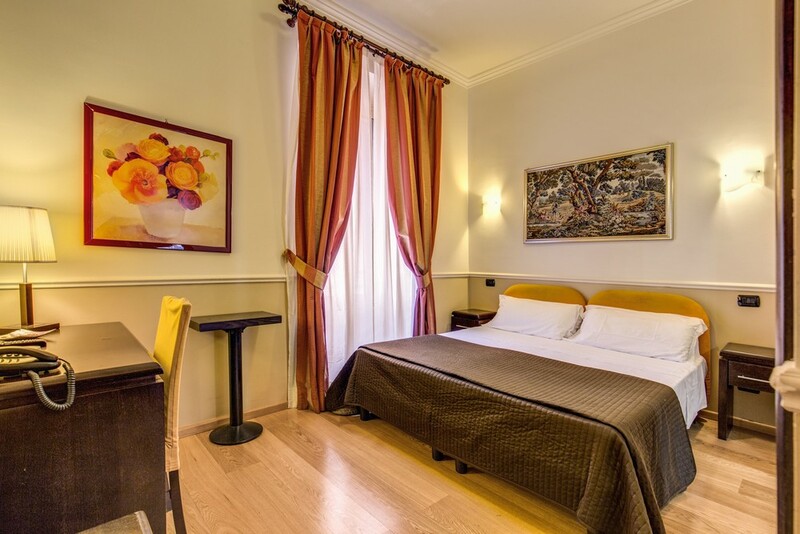 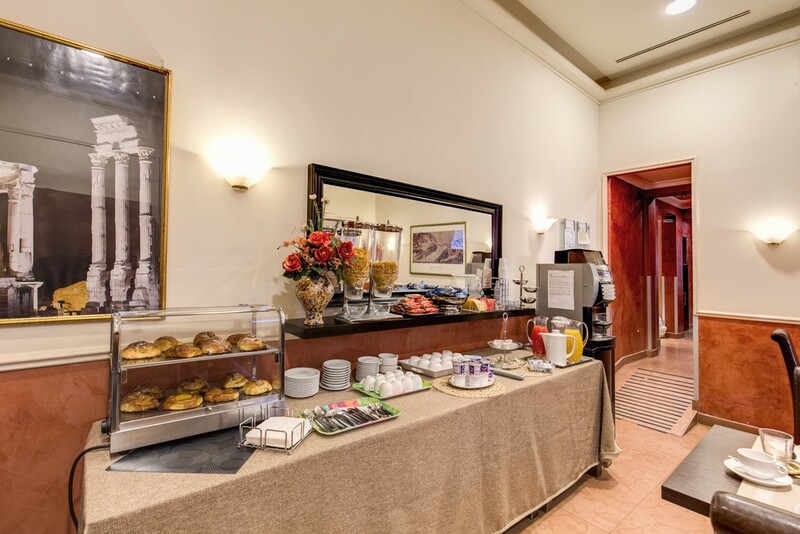 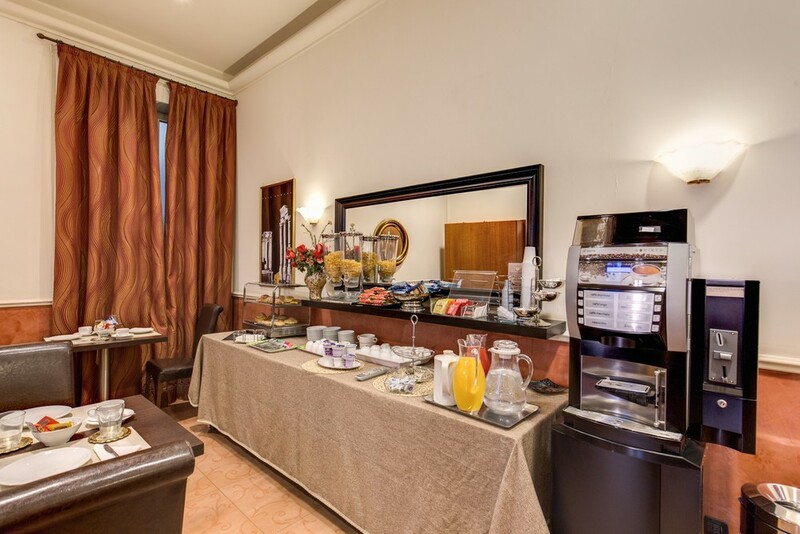 The Hotel Everest Inn Rome is a newly renovated, affordable 2 star hotel offering 14 comfortable guest rooms in the centre of Rome close to Termini Central Station. 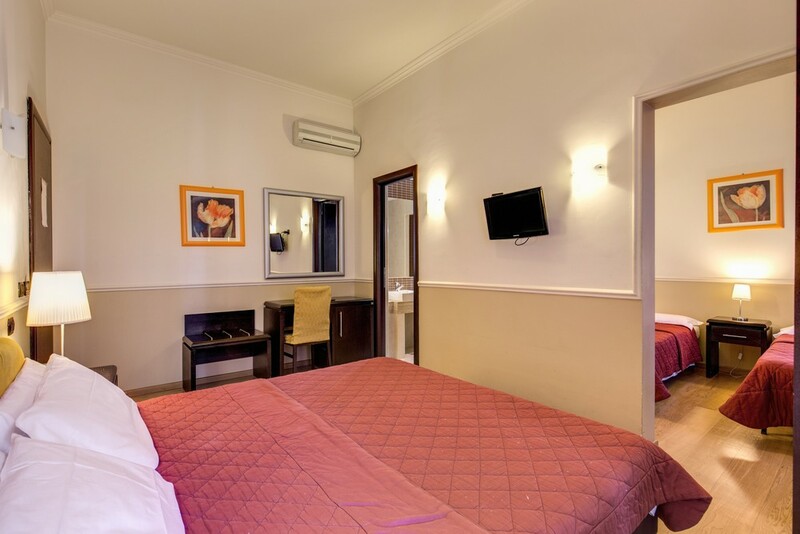 Available in a variety of sizes and occupancies from single rooms to family quintuple varieties, each of our rooms also enjoys the latest mod cons including air conditioning, satellite TV and free Wi-Fi access. 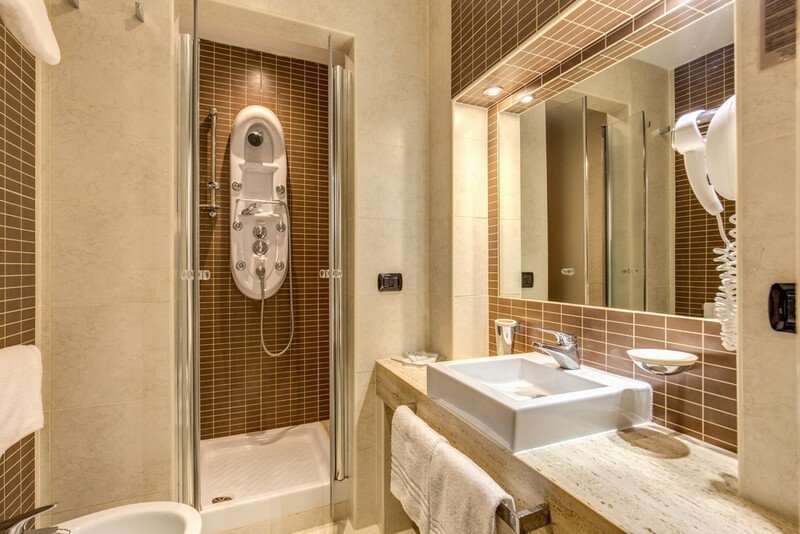 Guests can enjoy a complimentary breakfast each morning and certain rooms enjoy deluxe hydro massage showers or Jacuzzi bathtubs. 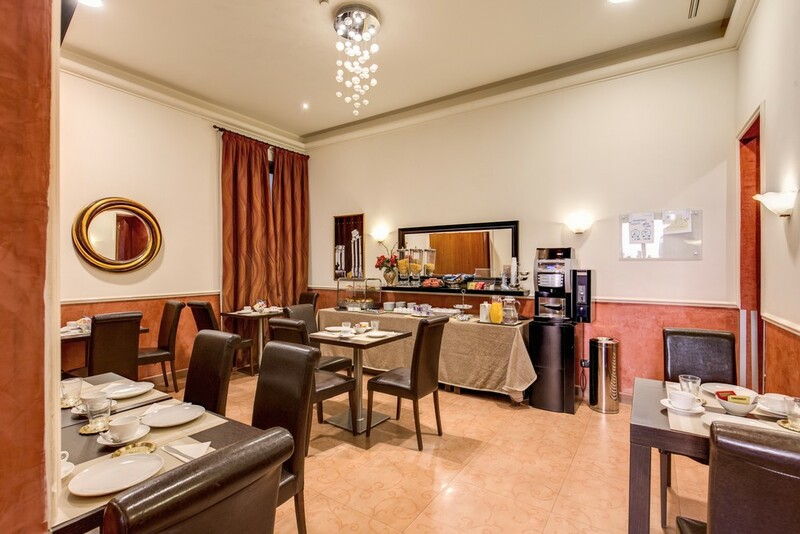 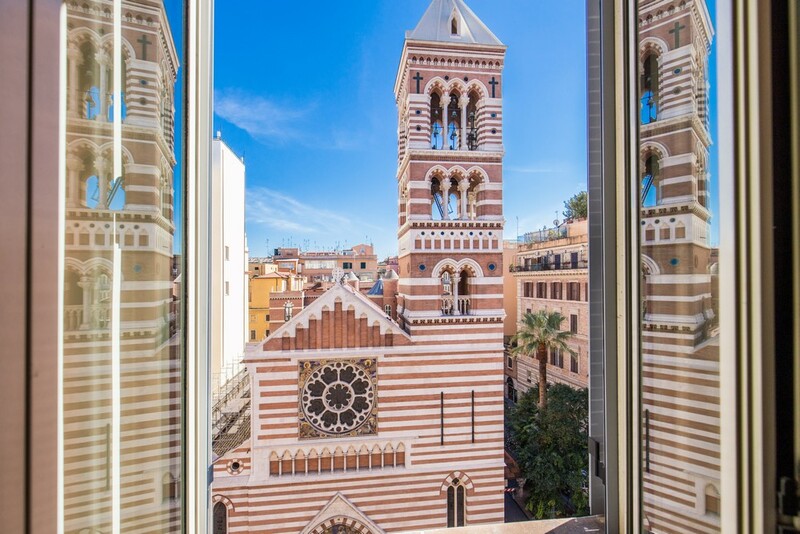 Strategically positioned with excellent public transport links, a wide selection of traditional restaurants, bars and shops in the vicinity, guests are also within walking distance of many tourist attractions. 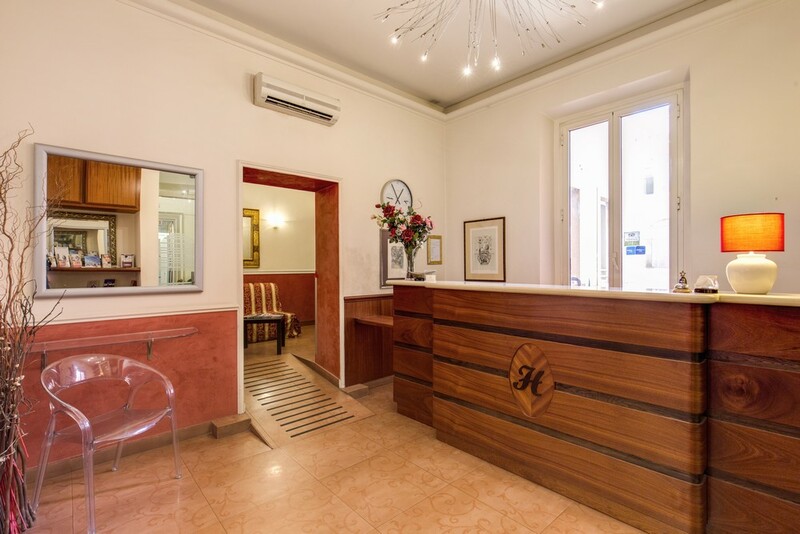 Read more about our great location on our Location page. 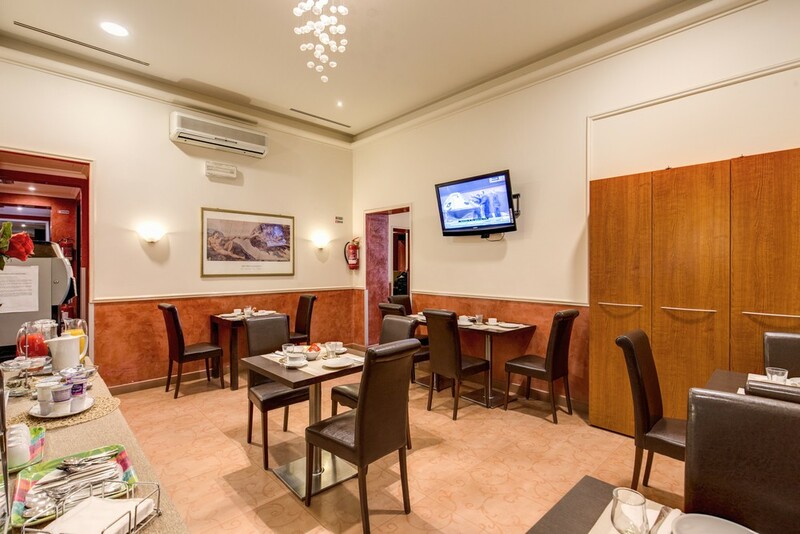 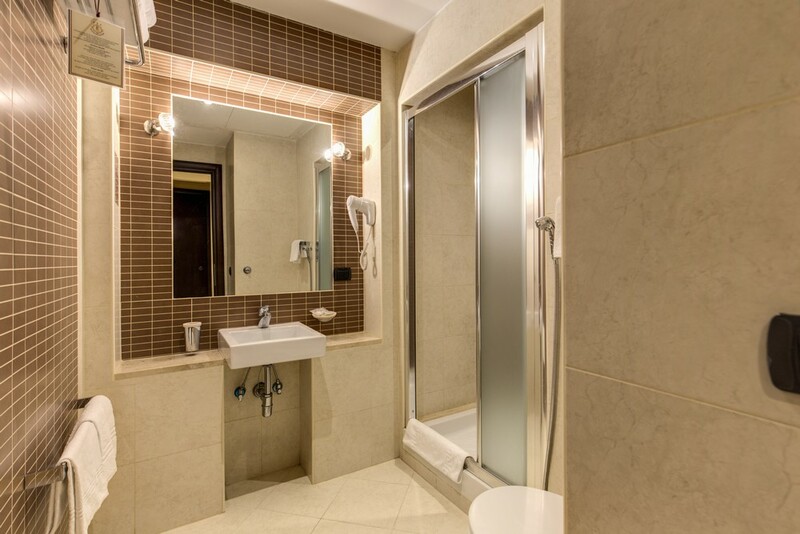 Take a look at our pictures for a better understanding of what we have to offer, and when completely satisfied, make use of our online booking system to reserve your place immediately. 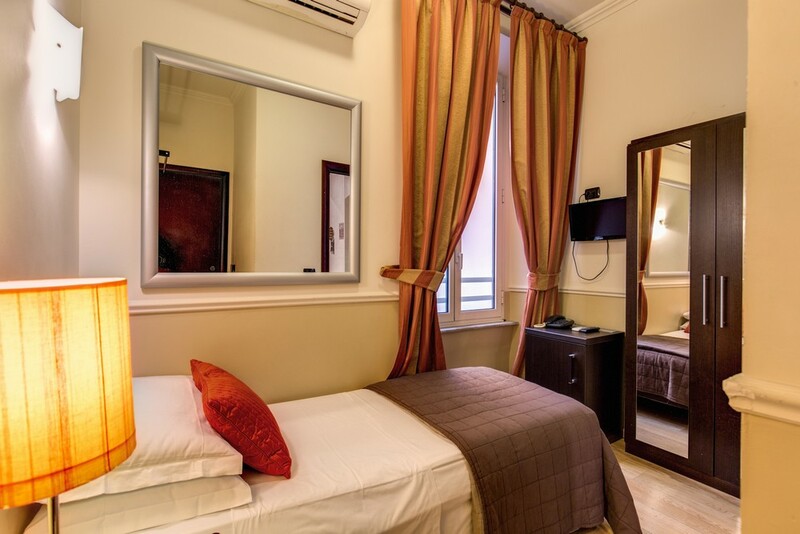 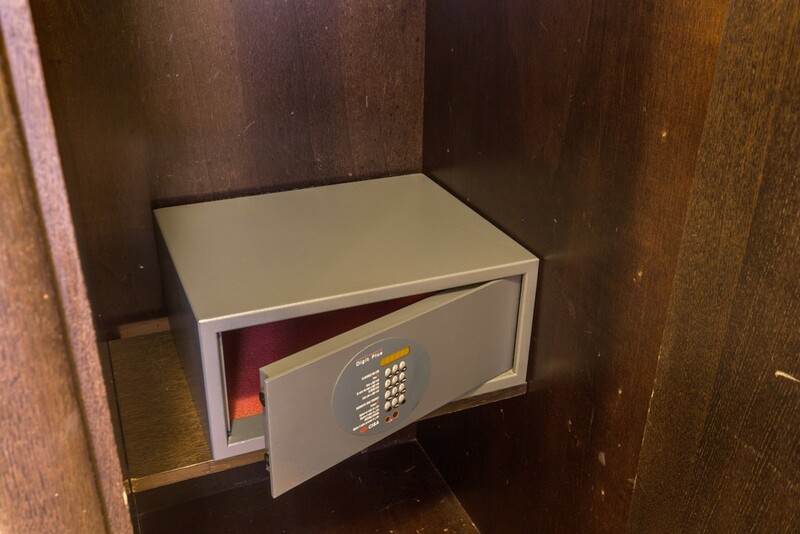 Our rooms book up extremely quickly however, so book quickly to avoid disappointment.